Simon Leeming, Policy Manager in the Digital Inclusion team at the Department for Culture Media and Sport, on civil servants supporting Get Online Week. 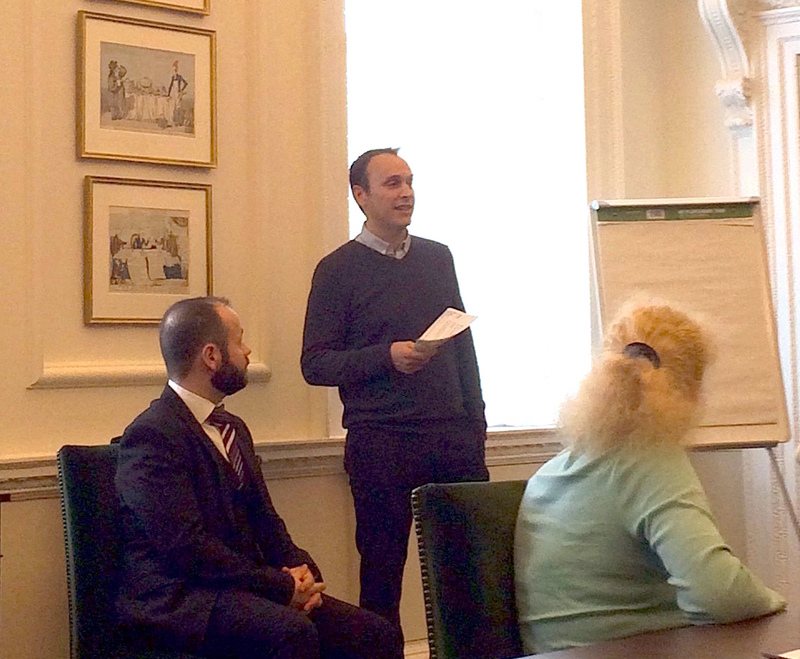 I was delighted to speak at the Cabinet Office yesterday, where civil servants gathered to support Tinder Foundation's annual campaign, Get Online Week. It’s our team's role to work across government and with stakeholders to help more people to confidently go online and reap the rewards the internet can offer. Social inclusion and mobility are real priorities for us, and we know that gaining basic digital skills can unlock a whole host of opportunities. We often talk about the four main barriers to digital inclusion: access; skills; trust; motivation. The picture appears to be improving for some of those barriers - kit is getting cheaper, connectivity is getting better and reaching more people, and recently the government announced a basic digital skills entitlement which will help put digital capability on a par with literacy and numeracy. However, that’s not to say those problems are solved…..
90% of people in the least deprived socio-economic groups have basic digital skills, but that drops to 57% for those in the most deprived groups. By supporting campaigns like Get Online Week, we are able to raise awareness about how the internet can improve lives in terms of health and wellbeing, education, financial inclusion, improved job opportunities and much more. 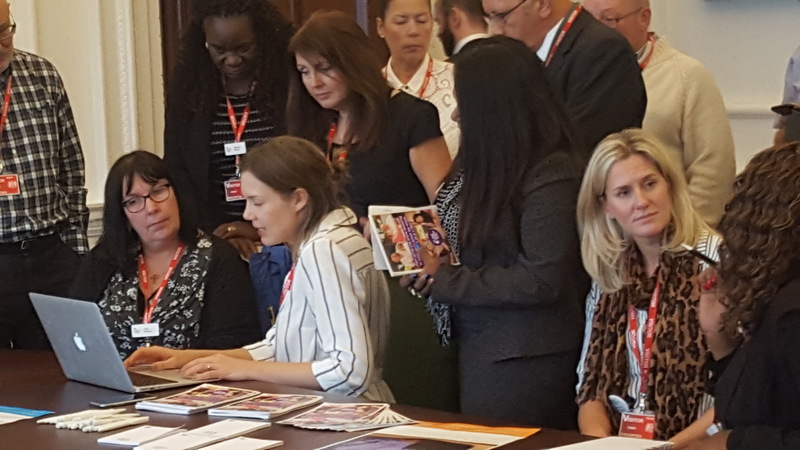 Tinder Foundation’s Anna Osbourne and Aniela Kaczmarczyk helping civil servants in Whitehall to get involved. We, as civil servants, should always be thinking about how we can serve the public, and Get Online Week is a reminder that we can do that in our everyday lives too. Almost a quarter of UK adults lack one or more of the five Basic Digital Skills. Everyone of us must know a friend, colleague, family member or neighbour who fits that description, and we can be the trusted intermediaries to help enthuse and empower them. And if you can’t think of anyone, Tinder Foundation are coordinating thousands of events all around the country this week. Visit the Get Online Week website to find an event near you. Follow events on Twitter using the hashtag #GOLW16. Read Tinder Foundation's guest post as Matt Hancock, Minister for Digital and Culture kicked off the week.